The Independent Parliamentary Standards Authority (IPSA) is the body created by Parliament to bring independent oversight and a fresh approach to the administration and regulation of MPs' expenses. IPSA was created in 2009 by the Parliamentary Standards Act, and the new rules governing MPs' expenses were introduced on 7 May 2010, immediately following the General Election. The Act gave IPSA two principal roles: to administer and reimburse MPs' expenses and pay MPs' and their staff members salaries; and to regulate of MPs' expenses. 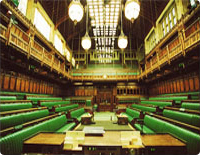 Parliament subsequently passed legislation creating a Compliance Officer for IPSA and making provision for IPSA to take on responsibility for determining MPs' pay and pensions in the future. IPSA's clear rules represent a clean break from the past system of allowances and are fair (both to MPs' and the public purse), workable and transparent. MPs' expense claims are subject to rigorous verification and post-payment audit. "I do not claim for accommodation. Set out below are my expenses since the election. They include office rental, stationary and related equipment and some staffing costs for a member of staff I had working for me on a temporary basis. IPSA publish all MP's expenses every quarter. These are for claims made in those quarters - hence why some are high and others low". You can know search the IPSA website to look at all expenses since 2010.